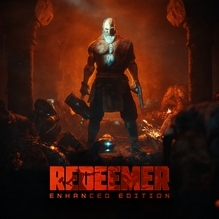 Redeemer: Enhanced Edition was delisted from the PlayStation 4 on or very close to its release date of October 30th, 2018. Although it was announced for release on PlayStation 4, Nintendo Switch, Xbox One and Windows PC, the PlayStation 4 version appears to be the only one that was publicly available to buy, however briefly. The only proof of its release on PlayStation 4 are a handful of Trophies that were earned on October 30th. The North American PlayStation Blog included the game in their weekly roundup of new content for October 30th but no link was provided to the game’s store page. It appears that the game was never mentioned by Nintendo and Microsoft press outlets like MajorNelson.com or Nintendo’s ‘What’s New’ feed. Friend of the site, FallenRyan, received a Twitter reply from the studio on January 14th, 2019 confirming that the game would return to sale (at least on PlayStation 4) by “End of Q1 2019”. We will continue to check for the game’s reappearance through March and beyond.